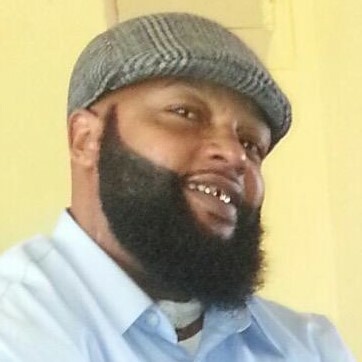 Obituary for Dennis Williams | Genesis Funeral Services & Chapel Inc.
Charlotte -Dennis “Peeworm” Williams age 47 transitioned this life Tuesday, April 2, 2019 at his residence. He was born August 18, 1971 to Velma Jane Roseboro and the late Dennis M. Williams. Dennis graduated from Crest Senior High School and Barber School. He was employed by Snyder Lance until his health began to decline. His hobbies, he enjoyed spending time with family, listening to music and reading. He was preceded in death by his father Dennis M. Williams, maternal grandparents; T. C. and Elease Hamilton, and his paternal grandparents; J. T. and Patti Williams, and an uncle, Chester Brooks, Sr. He leaves to cherish fond memories his wife Jamicka Williams, his daughters; Dekayla Williams, Kashaiya Odoms, sons; Brandon McGowan, Dennis “Decole” Williams, Jamarus Smarr, DaQuan Williams, stepson; Demorris Allen, his sisters; Donna Williams, Dione (Agerent) Chambers, Sabrina Williams, Evette Williams, brothers; Price (Joreka) Williams, Patrick (Mita) Ruff, grandchildren; Kayden, Lamyi, Liberty, Danielle, Kamarion, KaMoni, close cousin and sister-in-law; Pamela and Mark, and a host of aunts , uncles, cousins, nieces, nephews, and friends. Funeral Service will be Saturday April 6, 2019 at Faith Harvest Church at 3:30 P.M. Visitation at 3 - 3:30. Burial in Sunset cemetery.